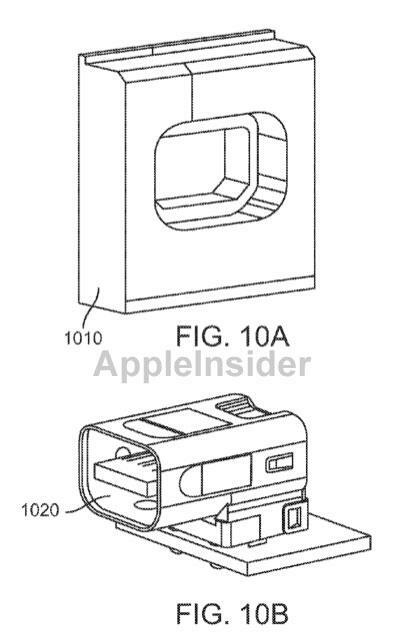 Apple has shown interest in creating improved input/output ports like Thunderbolt and USB on its line of Mac computers, making the ports thinner, scratch-proof, and more aesthetically pleasing. 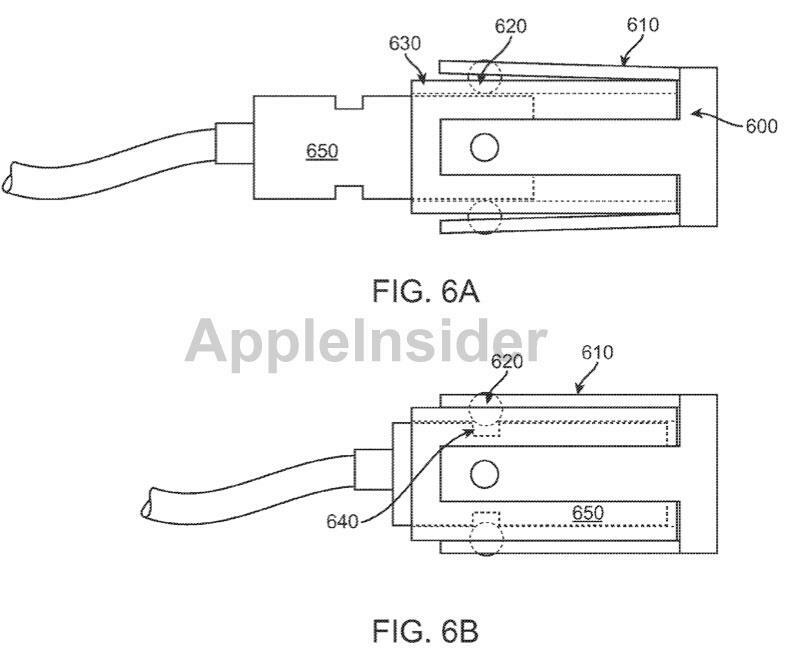 Apple's plans were revealed this week in a new patent application published by the U.S. Patent and Trademark Office entitled "Super-Thin USB Connector Receptacle Housings having Reduced-Wear Finger Contacts." The document, discovered by AppleInsider, offers a number of examples as to how computer ports could be modified and improved. Examples include the use of domes, cylinders, balls or other structures as finger contacts. These could reduce scratches and discourage users from accidentally inserting a cable incorrectly. 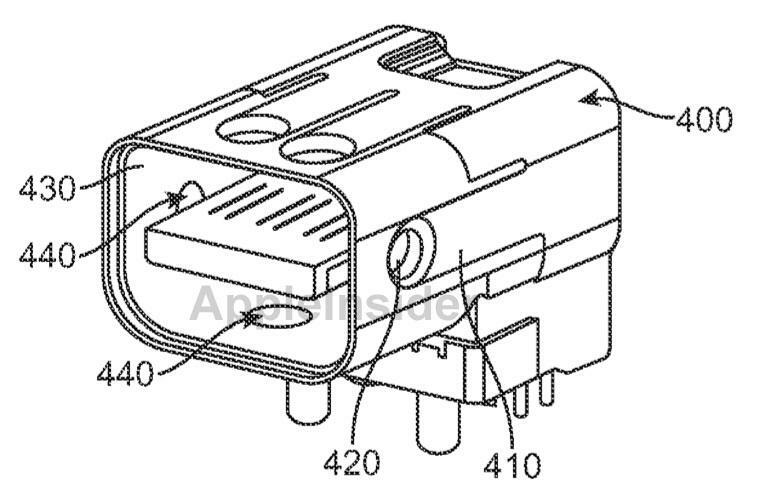 Apple could also make the ports thinner by removing portions of the USB shell along one or more sides. The port could expand when a plug is inserted, accommodating the full-size USB or Thunderbolt standard but allowing Apple to create even thinner devices like the MacBook Air. The proposed methods also cover the aesthetics of ports and how they look on a Mac. In one example, the company would form a port enclosure from the same material, or material having a similar color or texture, as the rest of the device, giving it a seamless and attractive appearance. The application notes that issues apply to all ports on computers, specifically mentioning USB, FireWire and DisplayPort. The accompanying illustrations show a Mini DisplayPort, the same form factor which has been adopted for its new high-speed Thunderbolt standard. In a typical port, the metal housing is stamped to form fingers, and those fingers are bent to form finger contacts, allowing an electrical connection with a plug when inserted. "However, these finger contacts may have sharp edges or burrs that may result in the stamping process," the application reads. "These edges or burrs can scratch or otherwise mar a connector insert after many insertions into a connector receptacle." Apple also notes that it would be desirable to have a secure "snap or feel" when inserting a plug into a computer. That mechanical feedback lets users know that a connection has properly been made. The application also mentions that connector receptacles like USB ports are often made separately and out of a different material. This can result in an unattractive seam formed near the opening —one that becomes even more pronounced as use of the device continues. The application revealed this week is a continuation-in-part filed in August of 2010. The proposed invention is credited to a host of Apple employees, including Zheng Gao, John Raff, Bartley K. Andre, Laura Deforest, Greg Springer, Min Chul Kim, and Joshua Funamura.